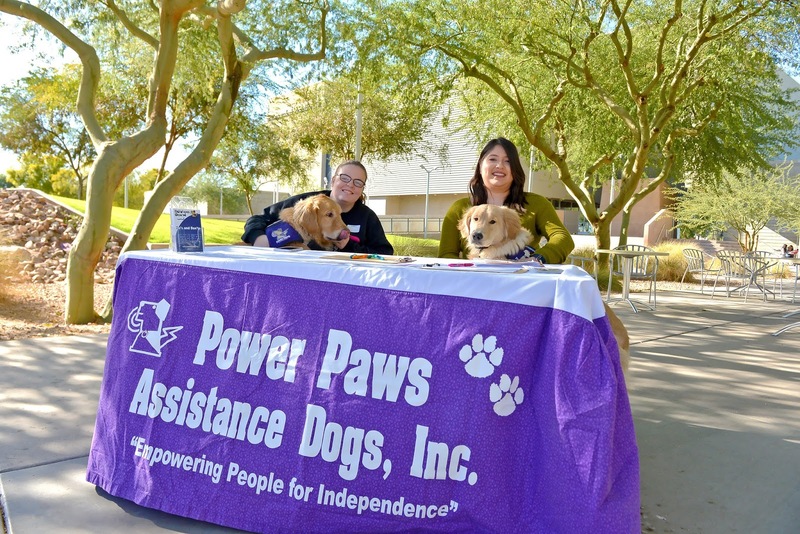 Last week, Power Paws, a local service dog organization came to Chandler-Gilbert Community College to recruit student volunteers to serve as puppy raisers and trainers. The organization signed interested individuals up to participate in their puppy training programs in 2018. Power Paws trains Golden and Labrador Retriever service dogs to assist children and adults with a variety of disabilities including mobility impairments, Type I Diabetes, and people affected by Post Traumatic Stress Disorder (PTSD). Mobility Dogs are skilled to do many tasks that are difficult for those with mobility impairment, including: turning light switches on and off, opening and closing doors or drawers, retrieving items that have been dropped, untying shoelaces, removing gloves and socks, providing love and companionship. Dogs trained to assist in cases of PTSD can calm their handler, help them deal with a stressful situation, or wake them from a night terror. Diabetic Alert Dogs are trained to alert diabetic adults and children to changes in their glucose levels. 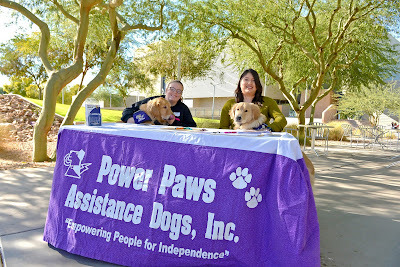 For more information about Power Paws, visit their website today to learn more about their wonderful programs.